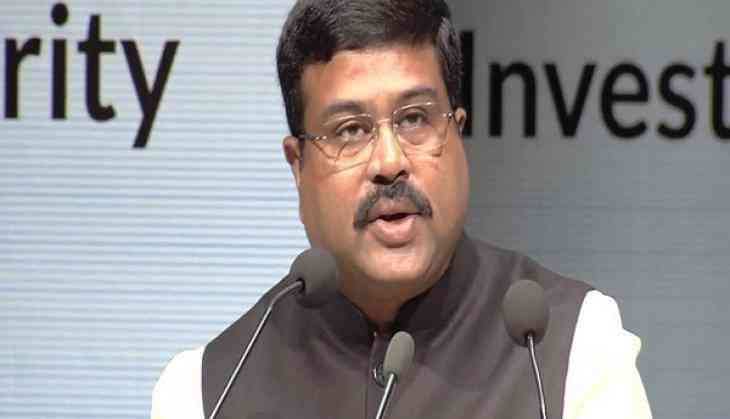 Union Minister Dharmendra Pradhan on Wednesday alleged that the illegal mining mafia in the state operates under the control of Chief Minister Naveen Patnaik and state Congress president Niranjan Patnaik. "The illegal mining mafia in the state operates under the patronage and complete control of Chief Minister Naveen Patnaik and State Congress president Niranjan Patnaik. Not only this, even the chit fund scamsters are under their control. The time has come when the people of Odisha should put a full stop to their activities," he said while addressing a programme "Jawab Maang Raha Odisha" here at Jajpur. "The time has come that we should ask an explanation from this corrupt government," he added. Highlighting the slew of measures taken by the Narendra Modi government, Pradhan said the benefits of these schemes are not reaching the common people of Odisha due to the "corrupt government" in the state. "After the formation of Prime Minister Narendra Modi government, Odisha got 10 lakh homes under the Pradhan Mantri Awas Yojna, Jajpur district alone got 63 thousand homes but the benefits have not reached the common people as the corrupt MLAs and pimps demand bribe and commission for it," he opined. Pradhan went on to say that even after 19 years of rule, the Odisha government failed to give potable water to the people. "Without commission, one cannot think of having a government accommodation. The whole system is running on commission," he alleged.